In an analog to the current season, engine size was cut dramatically for the 1961 season. As with 2014, 1961 arrived faster for some teams than others. A portly engine designer, Carlo Chiti, had been working on the new Ferrari Dino 156. Carlo Chiti and Enzo Ferrari quickly meshed. Chiti even moved into the apartment across from the old man. 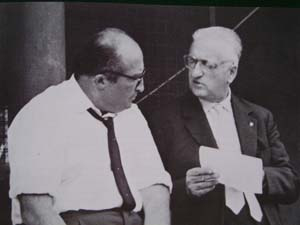 By designing a wide-angle engine, he essentially forced Mr. Ferrari to agree to putting the engine behind the driver. There had been a number of non-championship races by this point, and the cat was out of the proverbial bag. Now, the championship season was on. Ferrari needed to win some races and Enzo was surely putting the pressure on his driver’s. Attempting to give the new Sharknose chassis a run for their money, Stirling Moss was running a year-old Lotus. One thing that I have learned about Stirling Moss was that he cherished the role of the underdog. Some say this desire influenced his decision to eschew the bigger works teams. To him, victory was much sweeter when reached with an inferior chariot. Moss would have been aware, as all drivers were, that the driver matters more than the car at Monaco. For the Scuderia, Phil Hill, the Californian, always felt like an outsider, especially at Ferrari. Phil Hill, was a different sort of driver. Like Jim Clark in years to come, fame wore heavy on Hill’s shoulders. Even by 1961, driving for Ferrari carried intense off-the-track pressures. Hill, known to lose his lunch before racing, paced the pits as he watched Stirling Moss’ squad prepare his chassis. Hill was nervous, even scared. He was in the new Dino 156. Pressure from Enzo to immediately show the dominance of the new car was high Hill,watched as Moss calmly stripped the side panels off his car to shave a few more pounds of weight from his year-old car. P-Hill was supposed to win. But, he was afraid he might not. At the end of the opening lap[,] Ginther was already many lengths ahead, followed by Clark, Moss, Gurney, Brooks, Bonnier, Phil Hill, McLaren, Graham Hill, von Trips, Surtees, and Brabham, the World Champion having already gained four places. Ginther’s start had left everyone gasping and wondering where he had gone, for he gained 5 seconds lead in three laps. The account continues to describe that Moss was second by the time they crossed the finish line on the next lap. Ginther had an extra-wide 120 degree engine. This gave Ginther an advantage over the other drivers. Chiti had wanted the prototype 120 degree block to go von Trips, or P-Hill; however, Enzo balked and relegated the engine to the lesser driver. And so, Ginther’s shark swam ahead being chased down by a lone, hungry, angry wolf–Stirling Moss. Hopping nimbly from apex to apex, Stirling Moss was driving in a different presence. Like Ayrton Senna and the other greats, he entered an ethereal space where time slowed. Heartbeat by heartbeat, Moss flicked his car around the unforgiving precipusses, snaking his car ahead of his rabid chasers .By the fourteenth lap, Moss was in the lead. He never lost it. However, the three sharknosed cars never gave up. The evidence of their chase, their howling exhausts, bellowed and bounced around Monaco’s familiar cliffed walls. A state of the art trio of Ferrari’s was chasing a year-old hastily repaired chassis. However, lap after lap, Moss was inch perfect. He never gave up the lead. Moss is said to consider this one of his greatest drives. It may have been. It is also an example of the importance of the driver at Monaco. With the upcoming 2014 Monaco Grand Prix, can Mercedes be dethroned–if only for one weekend? The Limit: Life and Death on the 1961 Grand Prix Circuit, Michael Cannell (Twelve). McLaren Memories, Eoin Young (Haynes). Enzo Farrari: A Life, Richard Williams (Yellow Jersey). 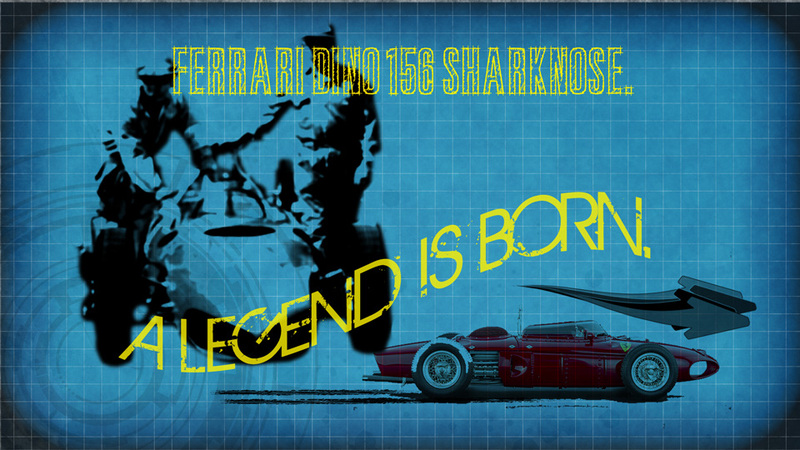 This entry was posted in 1961 and tagged Enzo Ferrari, Graham Hill, McLaren, Phil Hill, Scuderia Ferrari, Stirling Moss. Bookmark the permalink. ← The 1960 United States Grand Prix. Let me know your thoughts on the posted question. Can Mercedes be dethroned at next weekends GP at Monaco? If Moss had one of these SN’s could Ferrari have been dethroned? Mercedes has not ignored the driver aspect. Their driver line up is just too good. Next post will feature a favorite ‘character’ of mine: Wolfgang von Trips.